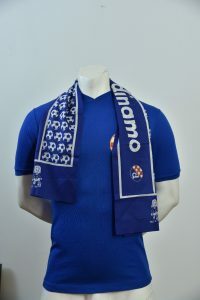 The winner of the last Euroleague match against Schalke in 1970 or the 1967 World Cup Leeds championship, the 1967 and 1982 football jerseys, the 80th member card, the soccer ball and the 60s and 70s, they are only part of the rich scope of the exhibition “Dinamo Spring”, which will be officially opened at the Kranjčar Gallery on Kaptol. Organized by the Association “Dinamo it’s us” so in the next 10 days everyone interested will be able to walk through the rich past of the club. “When we announced the Dynamo Spring project we said that we wanted to restore the civic spirit and identity of Dinamo to this city, and this exhibition is a unique opportunity for such a thing. We hope every Dinamoch will be visited by him, and that every father, consort or brother of a hand will bring a son, nephew, younger brother and show him what Dinamo is, “said President of the Association” Dinamo it’s us “Juraj Čošić. It was not difficult to get the materials for the exhibition, because many Dinamists are numerous and collectibles. 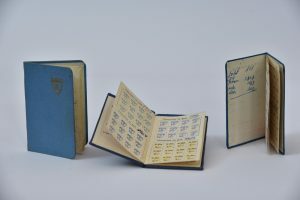 “We knew that Tomislav Rončević and Krešo Barić are the best two collectors and they have such a collection that they could make a permanent exhibition of a much larger club museum. This is proof that Dinamo has a great potential, but we will talk more about it on our next public forum titled “The Potentials of the Dinamo”. I think anyone who comes to visit the exhibition will not be indifferent to this, because it’s hard to remember when you see Dinam’s gold stamp, Ćirin’s white scarf, the Lamzin jersey from 1967 and many other things, “Cosic said and thanked the Kranjcar family for the exhibition. The exhibition was set up by young curators Luka Čubrić and Maja Pavlinić, who posed a special challenge. 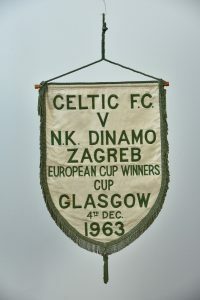 The exhibition follows Dinamo’s conquest of the title of the Velesajama City Cup in 1967, the last European appearance in the 1970s in the spring season, the legendary conquest of the title of the former Yugoslavia in 1982 and, after 49 years, this season’s placement in the spring of the competition. Entrance to the exhibition is free, and tickets can be purchased at the Dinamo Spring concert for a price of 60 kuna.